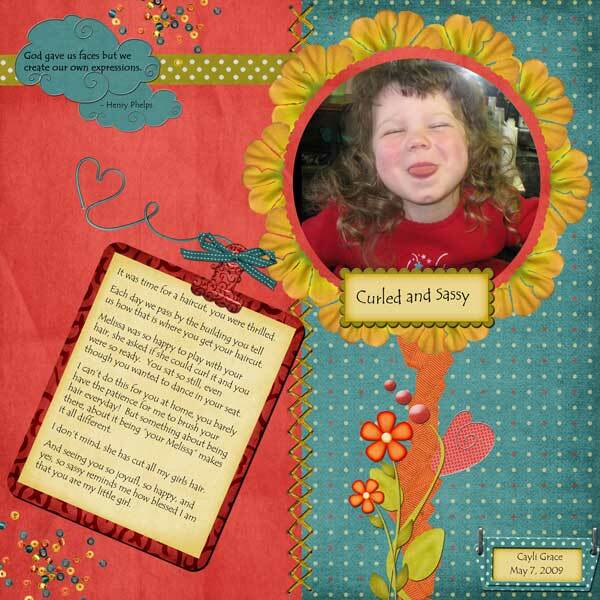 Well I got my entry done for the GoDigitalScrapbooking Supreme Contest Round 2. I’m not sure it is as strong as my entry for round 1. (I really liked how I did the net-journalling there.) But I think my creativity in creating the flower frame will win some points. It is really a half flower duplicated a bunch, and put around the circle frame and then all clipping masked and all to get the picture to fit just right. Remember you can buy this Christy’s kit here…. Thanks Christy for giving us all such fun elements to work with. Oh and I found the quote on Scrapbook.com in the Resources section. I didn’t even know this section existed (I always get hung up in the store :>) ) so it was a great find and I wanted to share it with you too!